Kids helping in the garden this Spring? 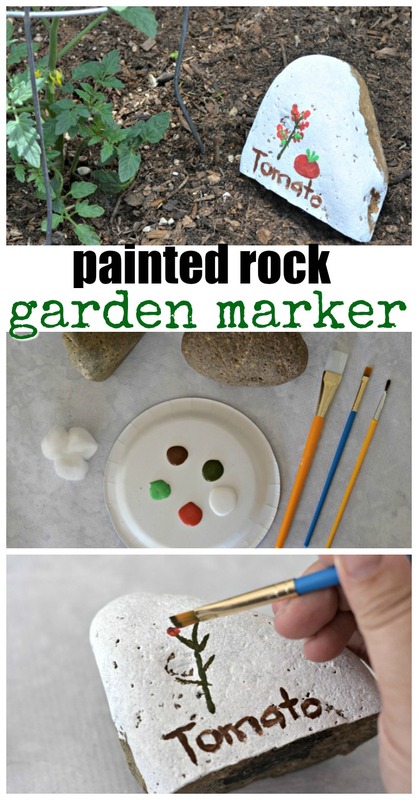 Why not use these painted rocks for garden markers! 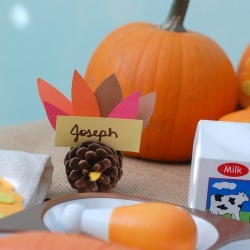 This craft is super easy to make and you can just use supplies you have around the house. One thing I love about this time of year is all of the green and new growth sprouting about everywhere! And that means that our garden goes from sad and lackluster to full of life within a few short weeks. With that new life comes a bit of confusion for the kids with what plant is growing what type of fruit, herb, or vegetable. 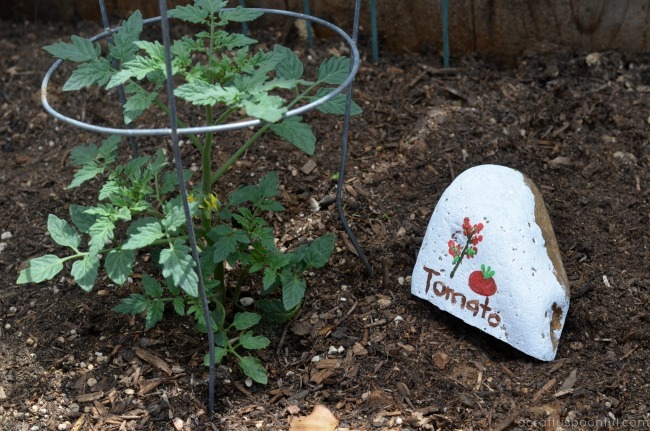 So we had a little fun and used painted rocks for garden markers to distinguish each plant from one another. 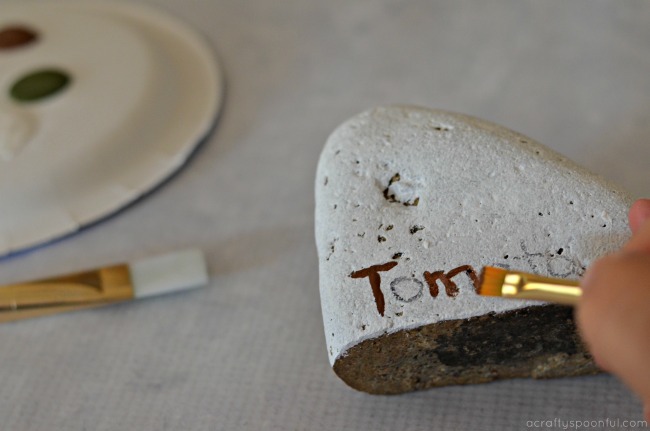 Now there’s no real huge planning that goes into these painted rock garden markers. We simply used a base color that would make our illustrations stand out, and I let the kids paint each of the plants that we were growing. They had fun choosing the colors and making different types of veggies and herbs on their rocks. I think the most fun was when they tried to trace my penciled in names with paint to make each name stand out a bit more. 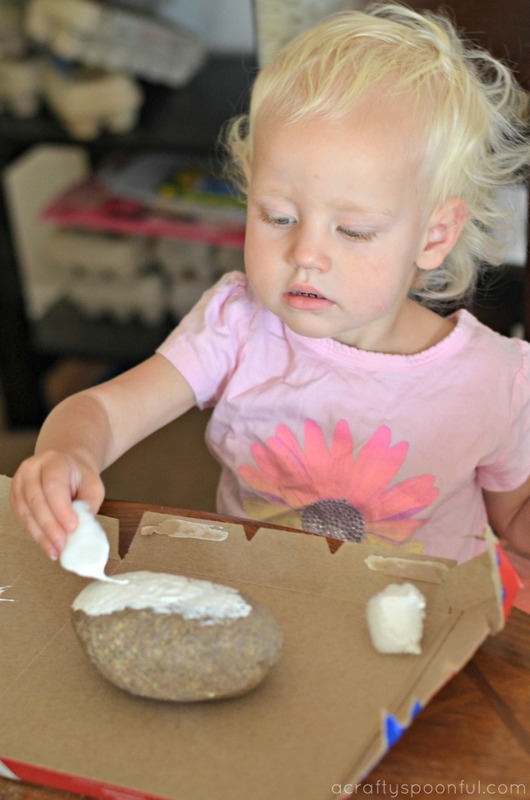 The concentration my littlest had in her eyes (and brow) was quite humorous. 1. 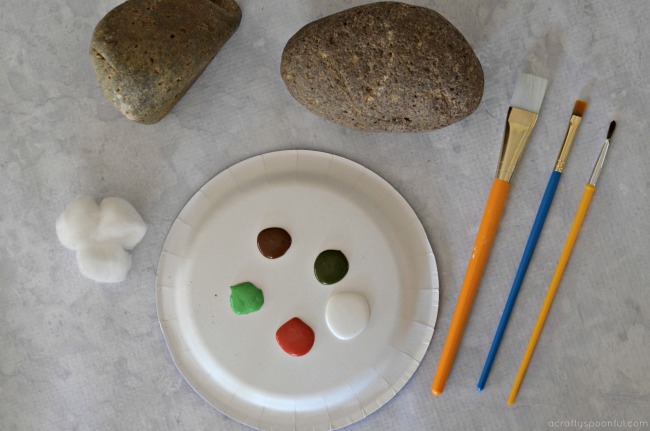 Using either a brush or cotton ball, layer the base color on the rock so that the illustrations you paint will stand out. We used a white base but any light color will due. 2. Once the base coat is dry, now it’s time to paint the objects you’re growing. 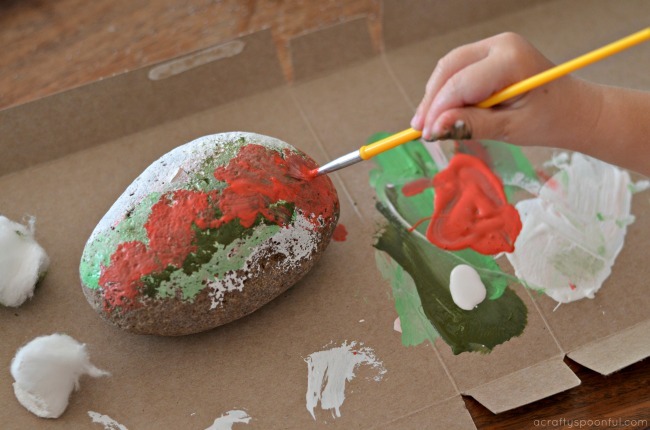 As you can obviously see from the rock above, my daughter was painting strawberries. Remember, it’s ok if the artwork is a bit… abstract… in the next step we’ll make things a bit clear. 3. 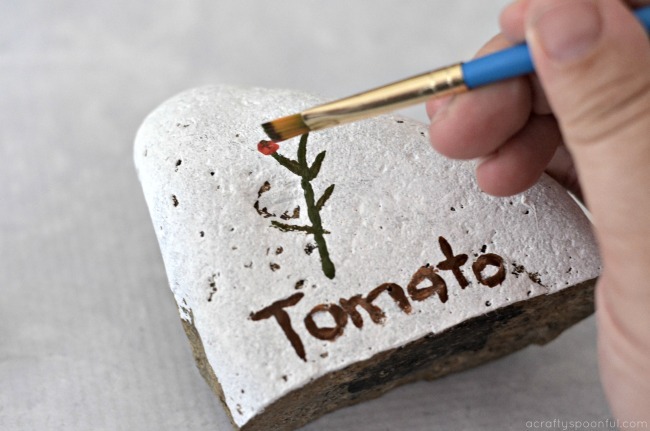 With a pencil, write out the names of each of the plants onto the rock. 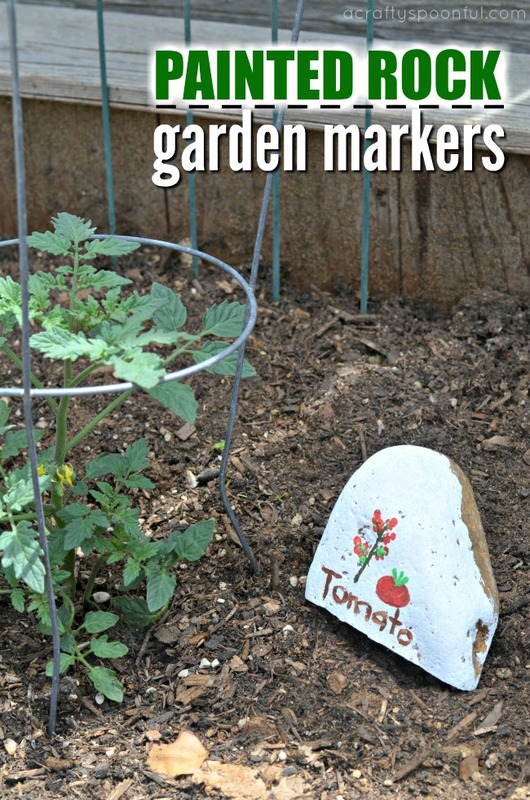 Then let your child trace the written names with their paint brush to make the name of the plant stand out. 4. 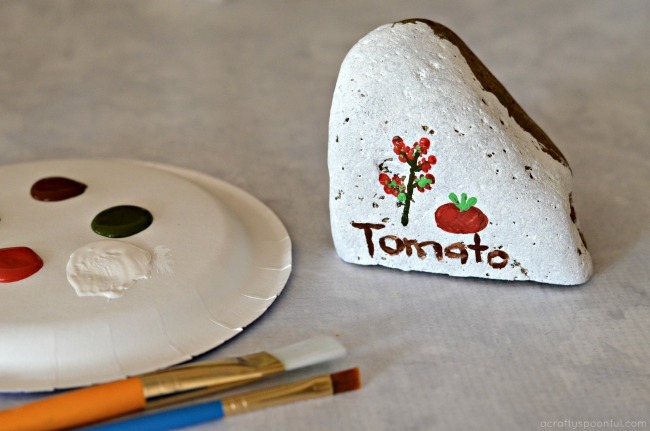 Once your painted rock is completely dry, set it outside next to your plant and enjoy! And the big kids help by watering, weeding, and keeping an eye on the bugs that are in our garden beds. 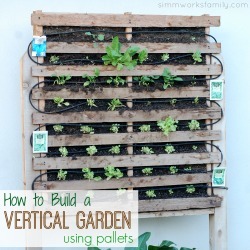 Looking to get your kids more involved in the garden? 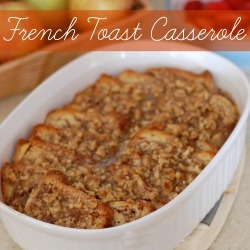 You’ll love these tips! Need a Mother’s Day gift idea for Grandma? Look no further! 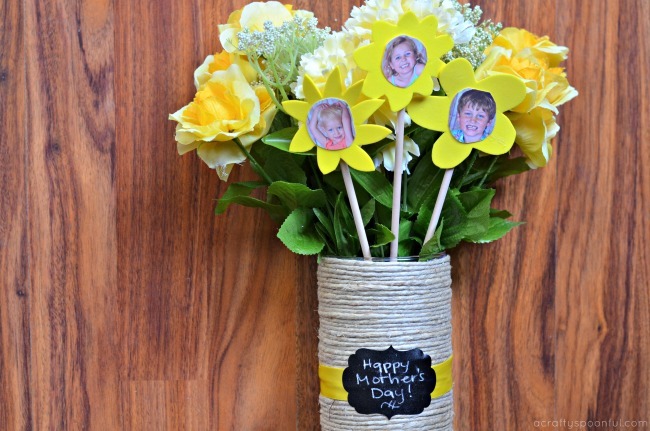 These adorable bouquets are sure to put a smile on her face just as finding the time to craft alone will put a smile on yours. Last week I took some time for myself to get my hair done. Not only did I get my hair cut, I gave in and got it colored, too. At first, I wanted to go a bit crazy. It was the first time I’ve ever colored my hair so I wanted to have some fun with a dusty rose or lavender color. But then after talking with my hairdresser, I decided on a more subtle change for the first time. I got to thinking why I wanted to change things up. Change of pace? Wanting a break from the same old, same old? Or was it something else? Finally, after much thinking, I came to a conclusion. I needed to do something for me. While I love being a wife, a mother, an employee, most of the decisions I make are based on thinking of others first. So, in partnership with Cafe Breaks, I decided to take a bit more time for myself (and think of myself first) to take a craft break. While I enjoyed my crafting break, I also took the time to indulge a bit in a Cafe Breaks pudding. The mocha latte is so delicious! Crafting AND a snack all for myself? Yes, please! If you haven’t taken a moment or two for yourself lately, take a step back and think about what would bring you joy or happiness! It doesn’t have to be something expensive. It could be as simple as heading to Walmart and picking up a pack of Cafe Breaks pudding packs from the pudding aisle to enjoy without someone else asking for a bite. 1. 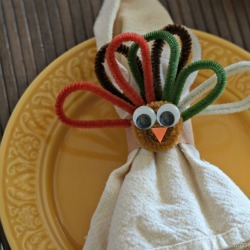 Wrap twine around vase and secure in place with glue gun. Repeat, securing the twine every few rows, until the vase is completely covered. 2. 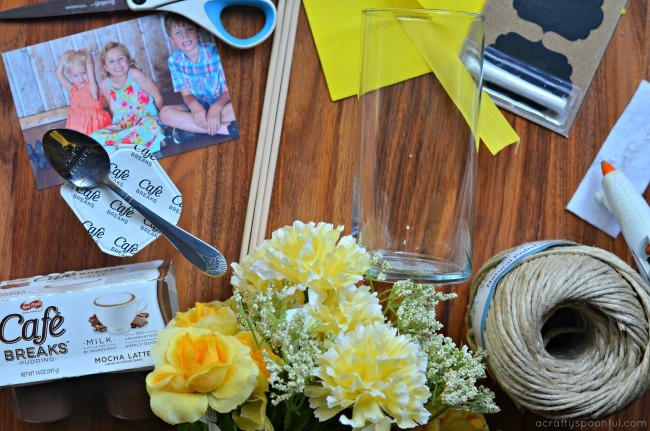 Add ribbon to the vase with glue gun. Cover seam with chalkboard sticker. 3. Arrange flowers in vase, set aside. 4. Cut kids photo around their faces in a circle. 5. Using the photos as a template, cut a flower out of the foam sheet with the photo in the center. 6. 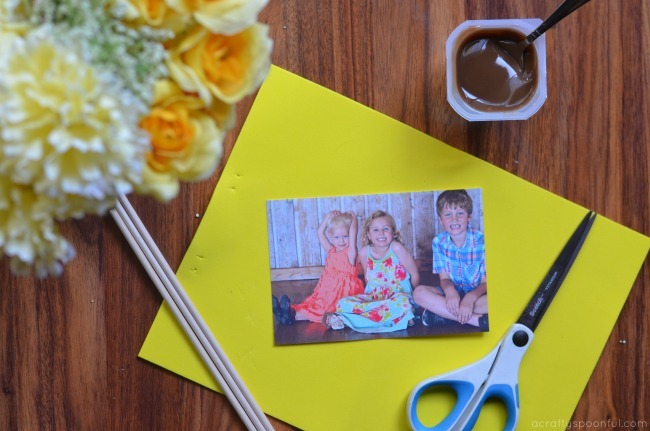 Glue photo to center of flower then glue flower onto wooden dowel. 7. 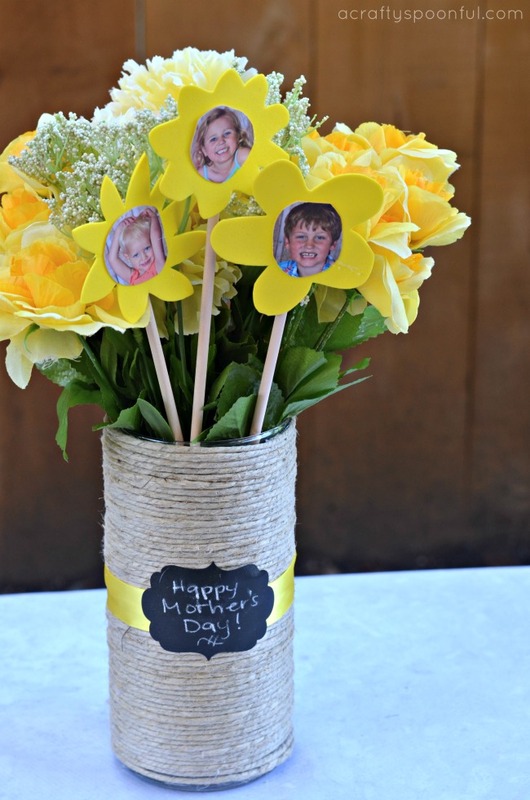 Add flower photos to the silk flowers in the vase and gift away! Need a break? 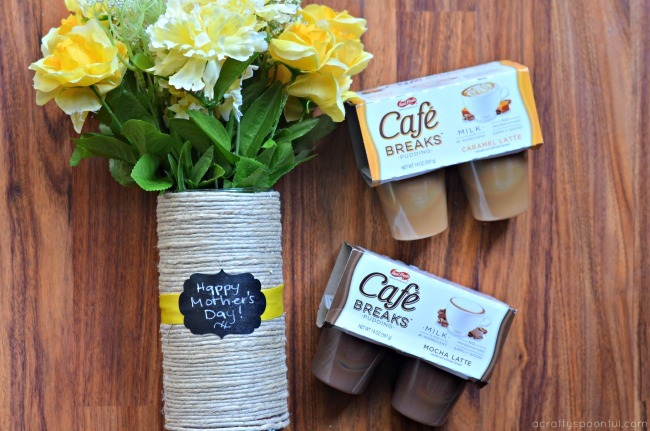 Enter to win one of 3 Mother’s Day Sweepstakes prizes including a $500 Spafinder gift card + a case of Café Breaks or a $100 Visa gift cards + a case of Café Breaks! 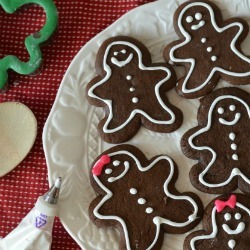 What are the kids making Grandma for Mother’s Day? Love this project? Read more! 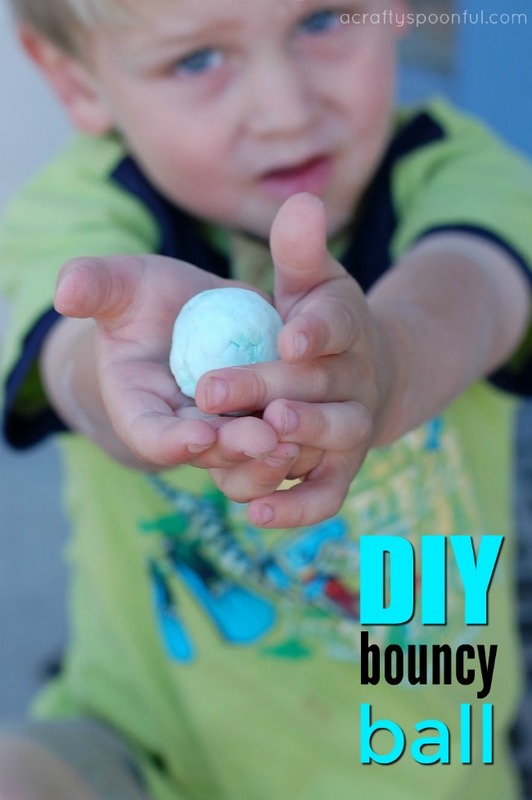 Make DIY bouncing balls with your kids and share the fun of science in the process! Have you ever wanted to make your own toys? See your creation unfold from idea to reality? My kids absolutely love balls. They always ask to buy more and our front yard is filled with them. So when I saw this tutorial on About.com on how to make polymer balls I had to give it a try. Result? A pretty fun experiment and toy all in one! And while the ball doesn’t bounce quite as high as the ones you buy from the machine outside of the grocery store it still provides hours of entertainment for children and adults alike. 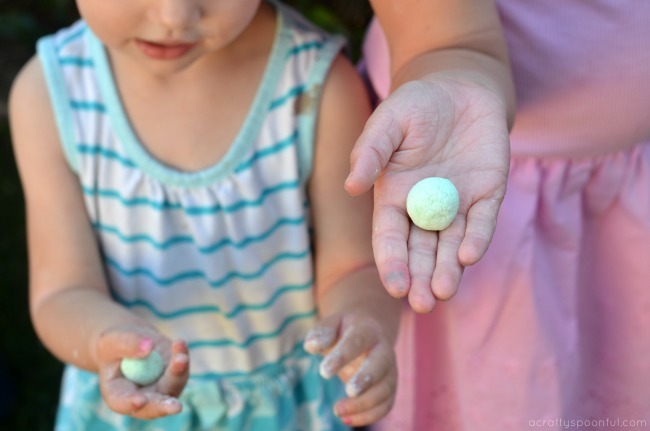 Whether you are looking to teach your kids about a little chemistry or just ready to make a fun toy, this is the perfect craft for a lazy afternoon.